This bike is a big deal. Why? Because it shows that Specialized is here to bring women's bikes to the top level and equal with men's bikes. Learn more about how Stephanie Kaplan, project manager at Specialized, helped bring old women's bicycle geometry stereotypes to the ground by clicking the button below. It's a great article explaining a bit as to why the women's Tarmac came to be in 2018, and why it is here to stay. 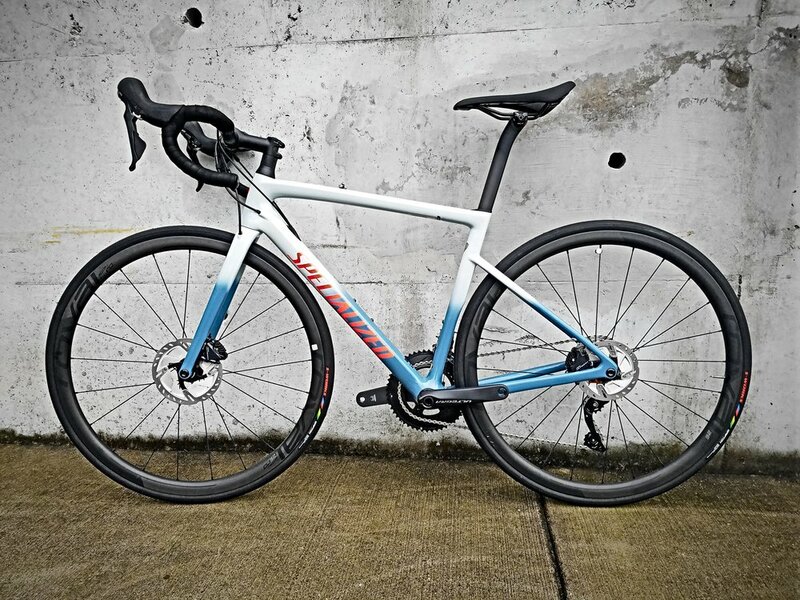 The build spec on this Women's Tarmac Disc is value-packed, featuring Shimano Ultegra mechanical shifting, Shimano hydraulic disc brakes, a Roval C38 Disc carbon fiber wheelset, and a host of women's-specific pieces at every touchpoint on the bike, like a superlative Women's Power Saddle with Mimic technology. Featuring our Rider-First Engineered™ design that ensures every frame size has the same legendary climbing responsiveness and descending prowess you'd expect from a Tarmac. The FACT 10r frame is the perfect blend of value and performance. Shimano's no-fuss Ultegra shifting with hydraulic disc brakes provides precise shifting and plenty of stopping power. Yep, that's right—carbon wheels on an Expert-level bike. The Roval C38 Disc carbon wheels bring performance to the masses. They're lightweight, durable, and ready for just about anything.